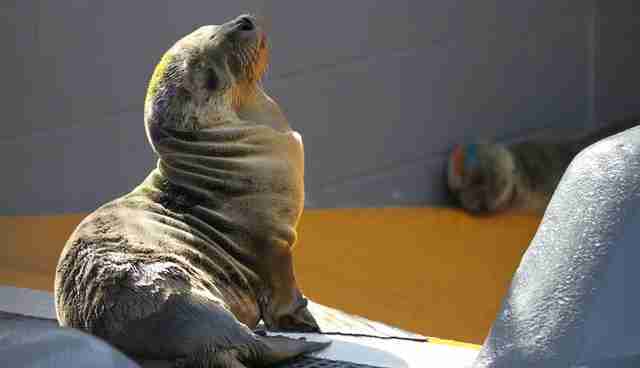 A few weeks ago, a starving baby sea lion pulled himself up onto a California beach and scooted half a mile inland. He found himself in the middle of a major highway, where he decided to stop traffic and crawl under someone's car for shelter. Luckily for this little guy, a state trooper stepped in and brought the emaciated pup to a rescue center. 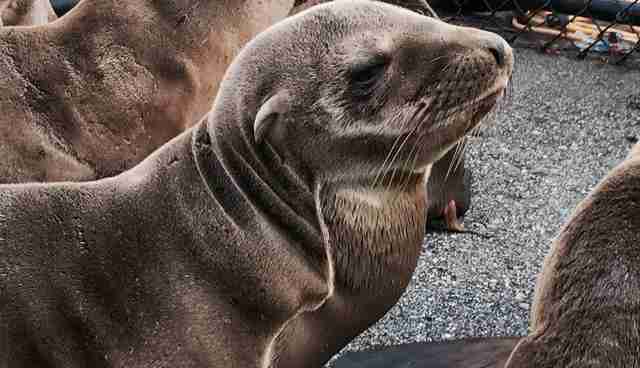 But he was just one of the hundreds of starving baby sea lions washing up on California shores, in a statewide epidemic that has rescues overwhelmed and researchers puzzled. 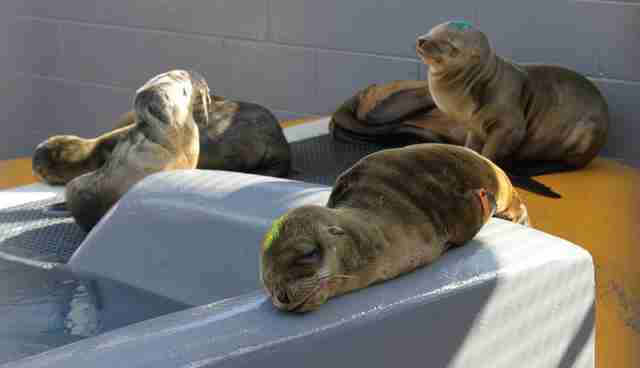 "They're barely alive," Dr. Shawn Johnson, director of veterinary science for The Marine Mammal Center, told The Dodo. 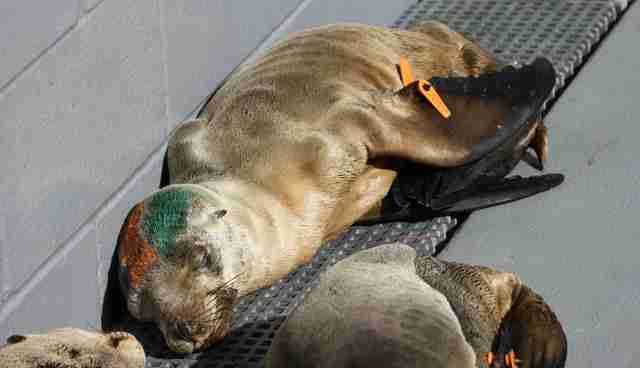 "When we pick them up on the beaches they're just skin and bones, emaciated. They probably haven't eaten for weeks." 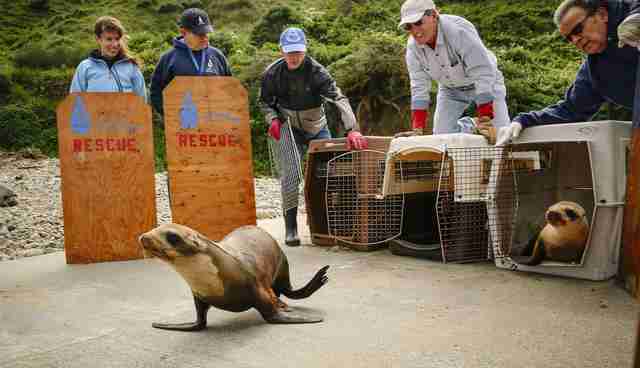 This is the third year that rescues have seen an influx in stranded sea lion pups, but this year's numbers are "exceptional," Johnson said. 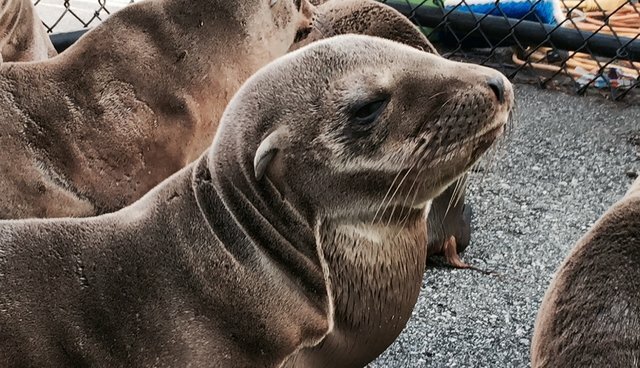 The Marine Mammal Center has already taken in 519 pups since the beginning of January, more than twice as many as it took in all last year, and it's just one of the many marine rescues that are working together to split up the California coast and respond to the crisis. 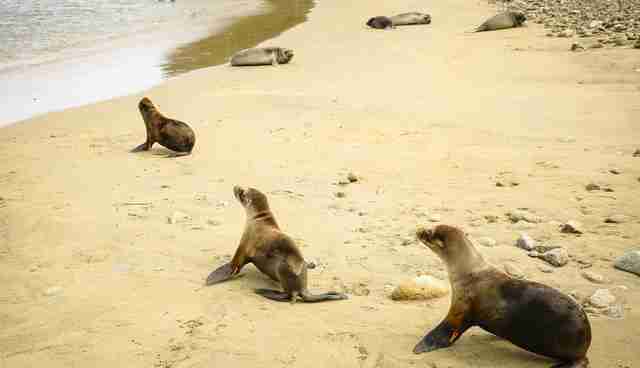 The National Oceanic and Atmospheric Administration announced on Monday that this year's current number of stranded sea lion pups is up to 1,650, and the first two months of the year saw nearly 20 times the usual number of strandings. 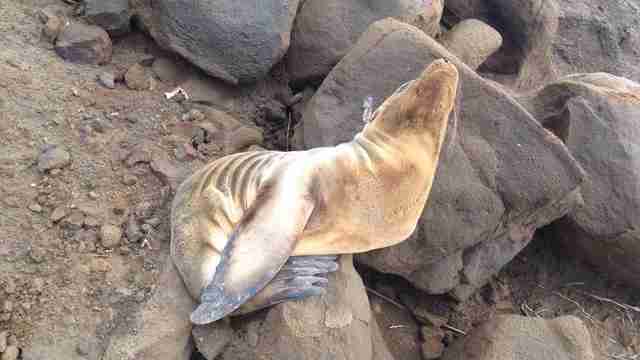 Unfortunately, strandings usually peak in March and April. 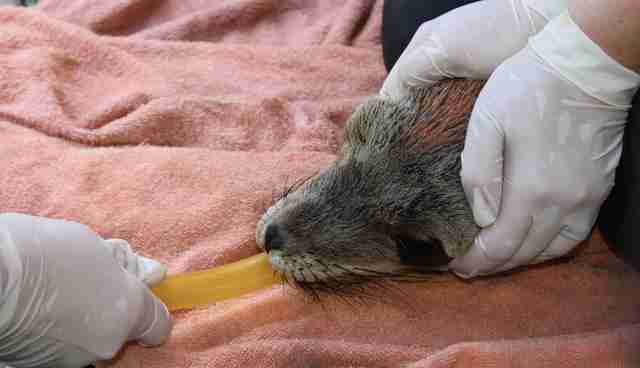 Scientists have speculated that a shortage of food could be driving the strandings. 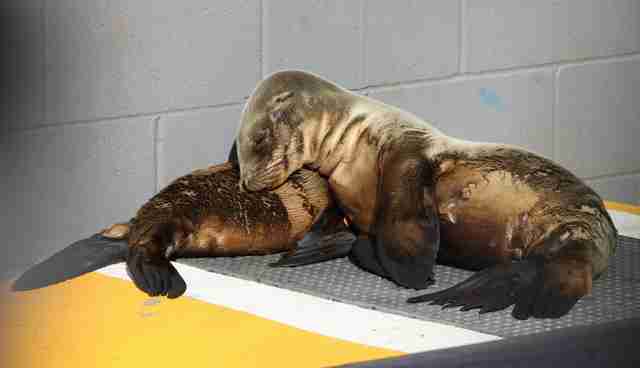 Baby sea lions, who are born in June, usually spend their early lives on the Channel Islands, off California's coast. They're left there for days at a time while their mothers hunt. NOAA reported that the waters off the California coast have been slightly warmer than usual, likely due to an El Nino, meaning fish could be swimming deeper out into the ocean. 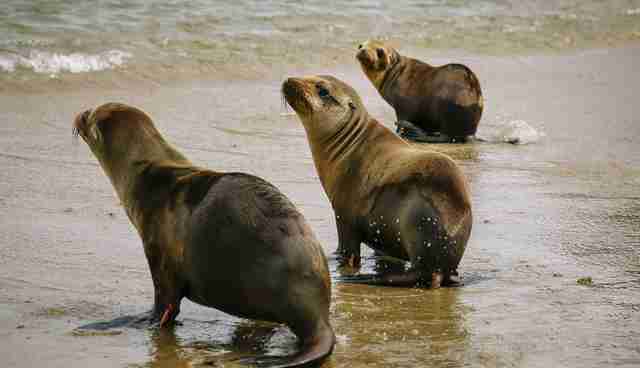 This shift means mother sea lions have to be gone longer and longer to find food, and can't come back soon or often enough to feed their babies. The pups, fearing abandonment, then strike out on their own. Malnourished pups are braving rough seas alone well before they should even be weaned, and washing up on shores up and down the coast. And when they arrive on land, they're not safe yet. 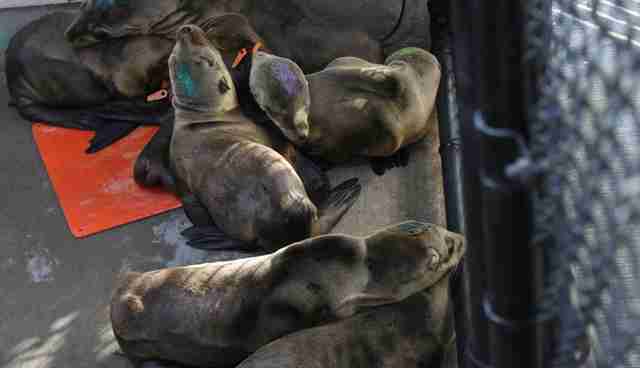 "They're cold, they're hungry, they just crawl up on the beach and wander around," Johnson said, explaining that at this age the pups should still be "learning to be sea lions" with their mothers. "They don't know where they are ... they go up to people's houses." 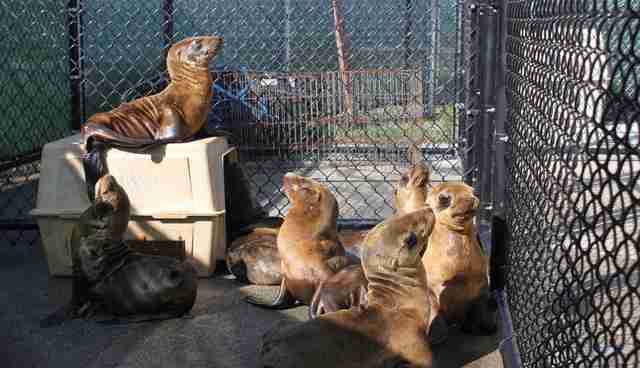 In the meantime, California rescues are struggling under the influx of new little charges. 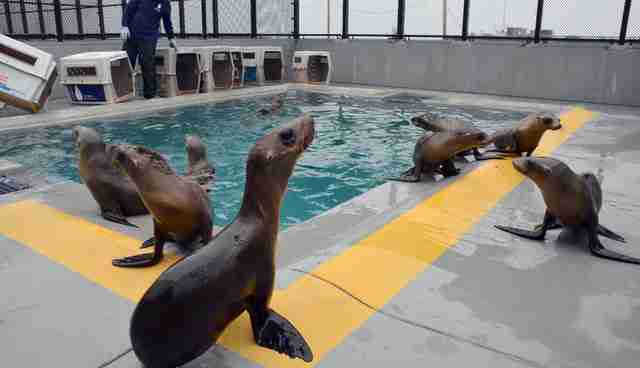 The Marine Mammal Center has a policy against turning any patient away. Johnson said that the center, a non-profit that relies on public support, is going through about 1,000 pounds of herring each day to feed the 200 pups who are currently in its care. At $1 per pound, that's $1,000 per day just on food. Though some of the pups are too weak when they wash up for the center to save, rescuers are taking heart in the success stories. 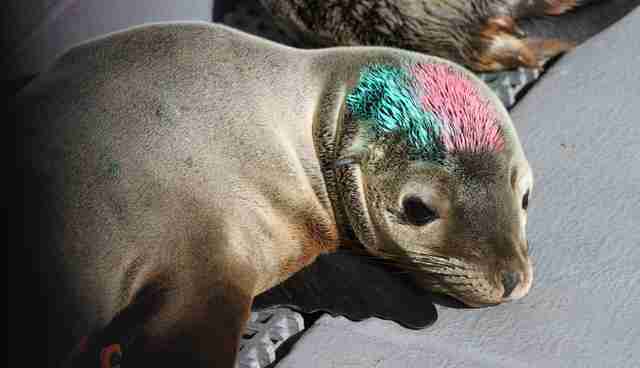 The baby who found his way onto the highway, for example, ended up at The Marine Mammal Center. He was named Percevero, for his perseverance, and is putting on weight after being treated for pneumonia - which many of the pups have. "He's doing well actually," Johnson said. "He's definitely a fighter ... we have some of them, like him, that are hanging in there for us." 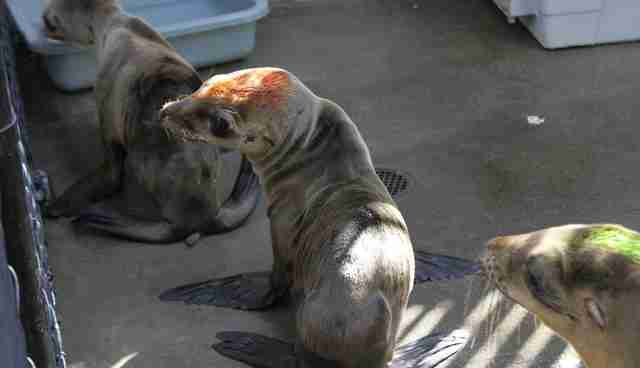 If you'd like to help save the sea lions, you can make a much-needed donation to The Marine Mammal Center. 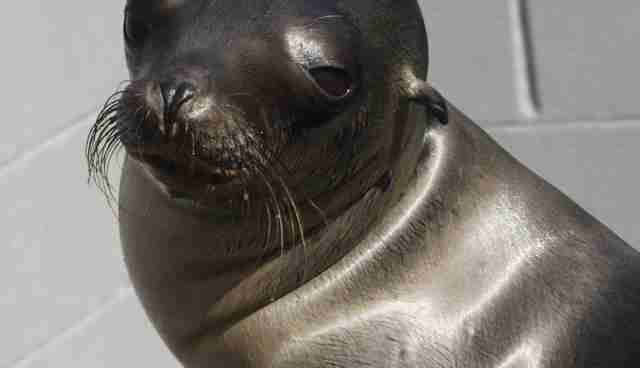 If you're in California and find a sea lion, please note that they are a protected species and it's illegal for people to approach them. You can contact a rescue center for assistance.